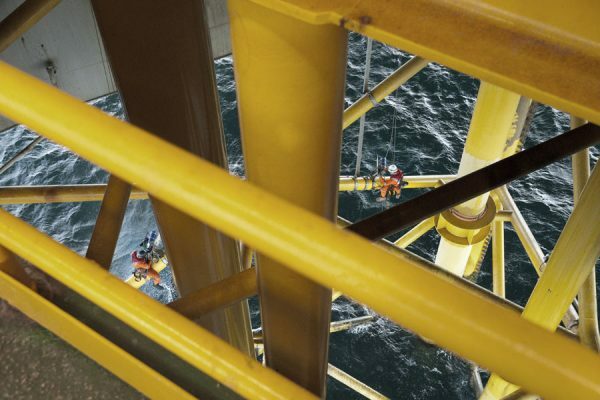 Drilling and refinery situations have a high proportion of work locations at height, including areas reached by “traditionally” protected structures like hooped ladders which present the possibility of near-certain injury in the event of a fall (see recent HSE research in the resources section of this site). Rescue provision is therefore an important consideration when planning suitable safe systems of work. heightec RescuePack is a self-contained system which allows recovery of a casualty with minimum equipment from any place above or below ground. The system is in widespread use throughout the UK fire service and within commercial rescue teams in every type of process industry. Full training in RescuePack is also available.